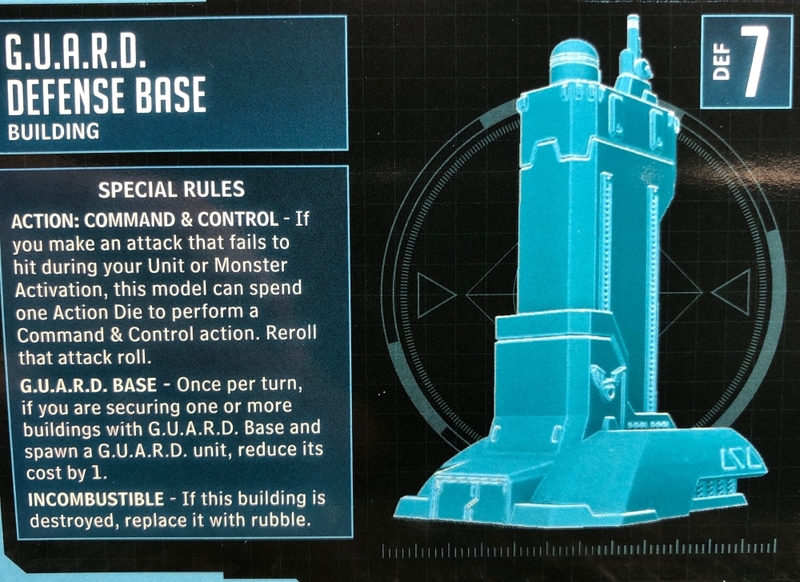 The GUARD have a shiny new base with some awesome rules! Here’s what you get right out of the box. Dice manipulation tends to be a powerful mechanic in most miniatures games, and this Action is no exception. If you control the Defense Base you can re-roll a failed attack for the low cost of 1 Action die. It can’t be understated how powerful the ability prevent bad dice from messing up your plans is. Additionally this will also open up some otherwise risky plays, like a 2 part Power Attack combo during your Monster turn. Even though this is a GUARD building, any Faction/Agenda can benefit from this ability. This Faction specific ability gives you a discount on GUARD units. 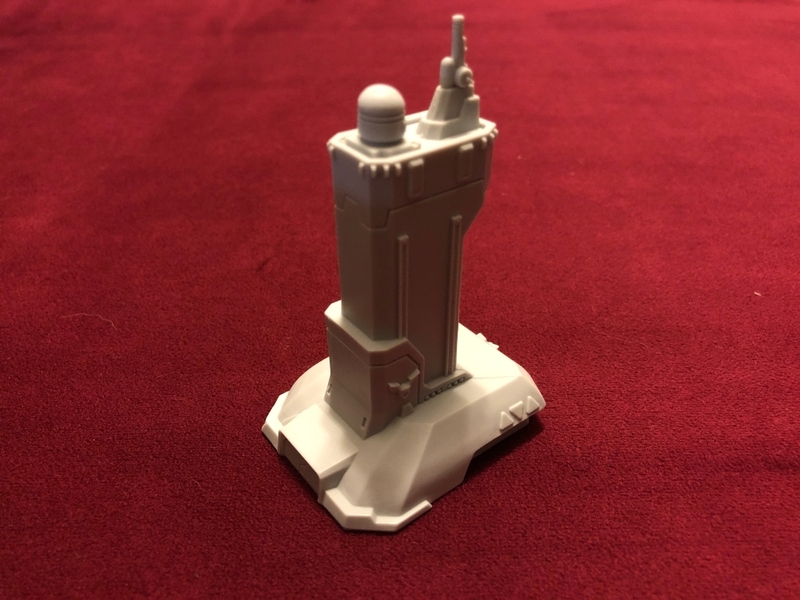 Remember this can be used with the Sky Scraper giving you a potential 2 discounts a turn. This building never becomes a hazard and therefore is the perfect building for the Repair Truck to stand next to. Because it becomes a rubble pile immediately, the Repair truck is just 1 Action away from bringing it back into play. Sky Sentinel is newly renovated after a major battle and is ready to rejoin the fight! 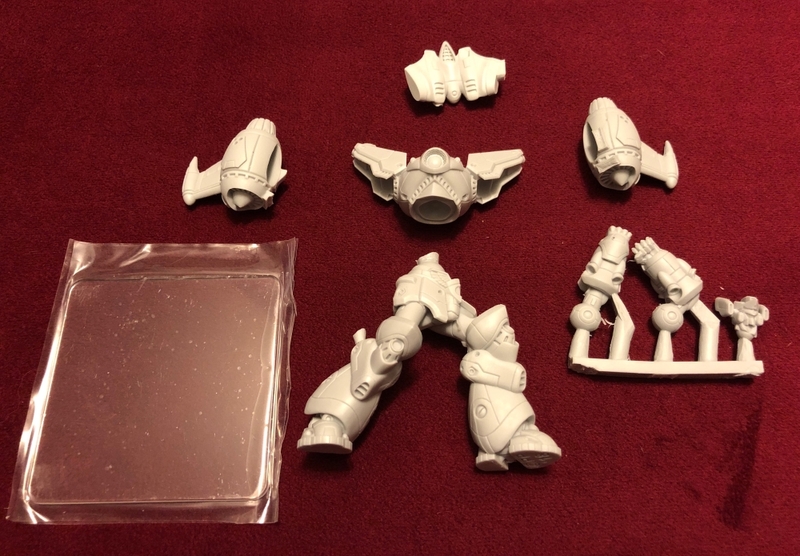 While Sky Sentinel does resemble Defender X at a glance, looking closely you’ll see that nearly every part of the model is unique in some way. 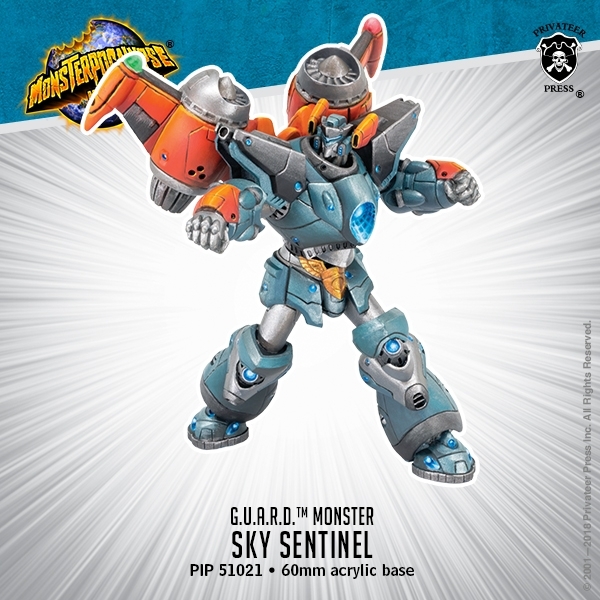 SPD 7 with Flight and High Mobility make Sky Sentinel and incredibly mobile monster. The downside is that Sky Sentinel does have 1 fewer die in every attack type when compared to most other monsters. Sky Sentinel wants to control the skies and therefore gets an extra Boost die against an enemy with Flight. Keep in mind this is only for Brawl or Blast attacks, not Power attacks. This is a very handy rule that allows Sky Sentinel to stand on a hazard space and not take damage! This can easily save you from taking a point or two of damage through the course of a game. This doesn’t save Sky Sentinel from taking damage when being power attacked into a hazard space though as Flight specially says “except when colliding into them”. Boost dice for everyone!!! Ok, not everyone, but any Faction models with Flight gets a Boost die when making a blast attack! This creates an obvious synergy with the GUARD Strike Fighters and Rocket Choppers here. With the Rocket Chopper lowering a monsters defense by 1, it quickly becomes easy for your flying units to deal a damage to an enemy monster if they combine blast attacks. Equally powerful, your flying units can harass the enemy and each kill a medium defense model reliably. Things really start to get crazy if you can secure a Downtown Highrise building. There is a potential for your Strike Fighters to throw 4 Boost dice each! 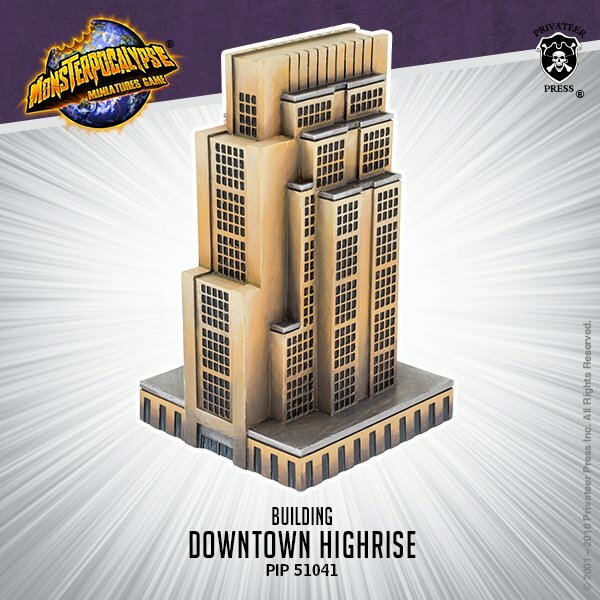 Each Fighter naturally starts with 1 Boost die, with another from the Security Building rule on the Downtown Highrise, 1 from Wing Leader and 1 from the Elite Strike Fighter you can bring some serious ranged firepower! If you can live the dream with all those dice the potential for dealing 2 damage to an enemy monster during your unit turn is real. In Hyper Form Sky Sentinel loses Anti-Air and gains Rapid Fire, Power Gorge and a few more attack dice. Destroy an enemy model with a ranged attacks and you get an extra Power dice. This is extra nice considering the next ability Sky Sentinel picked up…. Sky Sentinel now gets a free Blast attack every activation! This is great for clearing out a screening model or dealing an extra point of damage to an enemy monster! With Power Gorge you can destroy an enemy models and get 2 Power dice, then immediately use them to perform a Power Attack. The GUARD Defense Base is a Faction building that even non-GUARD players should consider adding to their force simply because the re-roll ability is so strong. 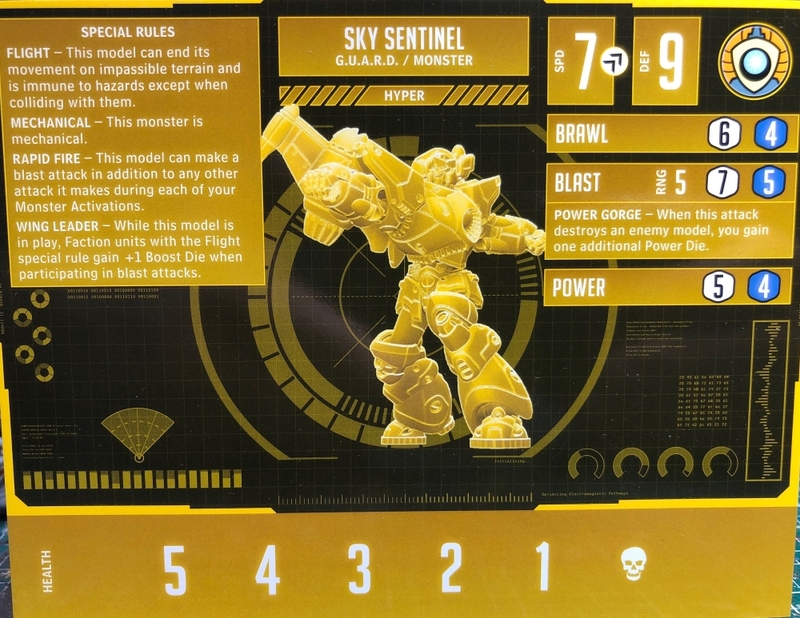 Sky Sentinel is an exciting new Monster with a clear focus on friendly Faction flying units. For those looking to play purely GUARD a team of Defender X and Sky Sentinel is a powerful combo. Both bring great mobility, some interesting ranged attacks and dice generation abilities. 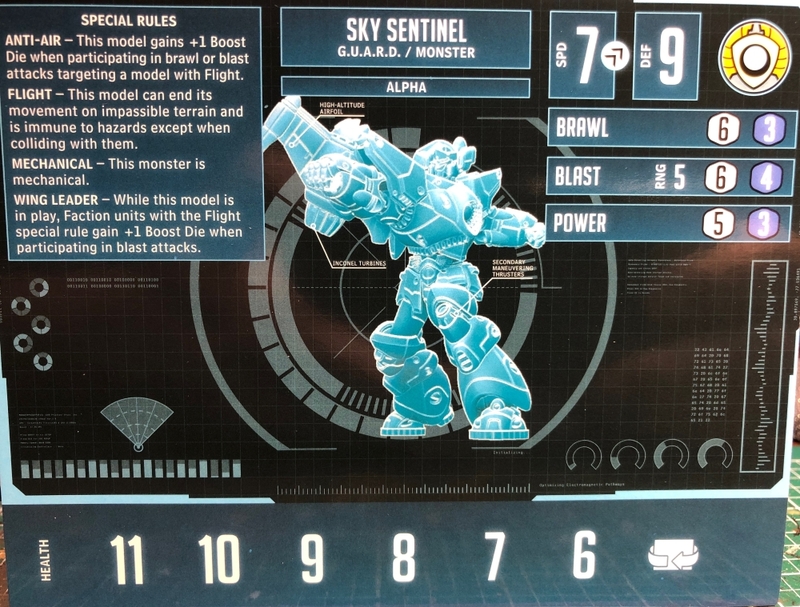 Which is your favorite GUARD monster so far, Defender X or Sky Sentinel?